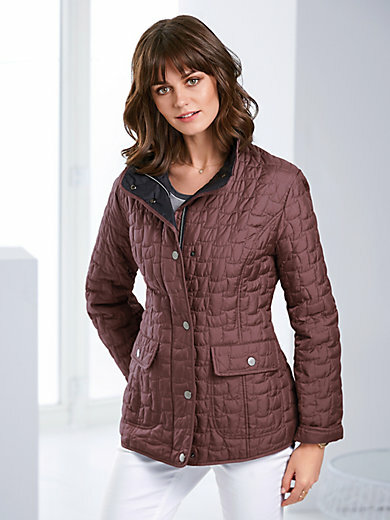 Quilted jacket by Peter Hahn in premium, soft microfibre in the latest colours! This attractive, practical lightweight jacket with fantasy quilting and figure-friendly dividing seams is feather-light and takes up very little space in your suitcase. With high-closing raised collar, concealed zip and row of press studs together with 2 flap pockets and a zipped inside pocket. Outer material, filling and lining in a contrasting colour in 100% polyester. Length approx. 27ins. The jacket is machine washable.